for your free estimate on our pest control services today. Our number one priority is keeping you happy by protecting you and your property from pest looking to invade your space. Certified Pest Management offers custom pest control plans to suit your needs for your home or your business. 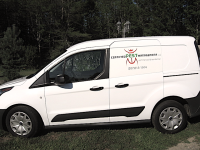 We specialize in removal and prevention of infestations by Insects and Rodents , including Mice, Rats, Fleas , Ants , Bed Bugs , Ticks/Mosquitos and a host of other irritating invasive species. bi-monthly, and quarterly service intervals. We’re always available between visits should you need us for emergency. Our office is located in Augusta, ME. We offer a wide range of extermination & pest control services, performed by knowledgeable technicians that specialize in an assortment of pests. We will treat for your commercial pest control and residential pest control needs. Locally owned, prompt, courteous and professional. We want to be your residentional pest control and commercial pest control​ provider.